The Mayors of Austria's four major cities -- Vienna, Salzburg, Graz and Innsbruck -- are inviting select groups through Music Celebrations to perform in the American Celebration of Music in Austria. 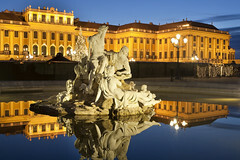 This annual concert series, established in 1996 to commemorate Austria's Millennium, has been a great success. 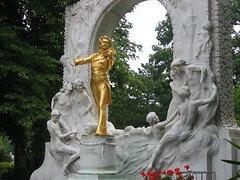 Annually, the festival incorporates the concerts into various special musical celebrations taking place in Austria. Music and dance groups are featured in a variety of performing venues, from historic cathedrals and concert halls to palaces, spa resorts, and historic outdoor settings. Austria is so steeped in music that musicians the world over consider a performance tour here as a musical pilgrimage to the cradle of Western Civilization's musical heritage. To combine performances in exciting and historical venues with on-the-spot exposure to the music of the Masters is an enriching musical and educational experience. Gluck, Haydn, Mozart, Beethoven, Schubert, Bruckner, Brahms, Strauss, Mahler, Schonberg, Herbert von Karajan, Karl Bohm and numerous other musical personalities were all Austrian by birth or adoption. Vienna was their home. Their music influenced the entire world. Festival participants see their homes, their manuscripts, their musical instruments, venues of their incredible performances, and walk in their footsteps. Picture your choir singing in Salzburg Cathedral, your orchestra performing in Vienna's Konzerthaus, your band playing in Mirabell Gardens! Festival participants perform once in each of the four hosting cities. 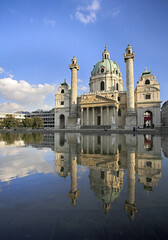 Itinerary options might also include cities outside of Austria such as Prague, Leipzig, Venice, Budapest, Munich and others. This letter is a long time in getting to you to thank Music Celebrations International for the outstanding tour to Austria they planned for the Miami Choral Society. Saying thank you is the least I can do. From the moment we step on the plane until we arrive home I can relax because MCI takes care of everything. I wouldn’t consider using another travel agency as we are spoiled by the ease of working with MCI! From the office staff to the amazing tour guides, the level of professionalism is of the highest quality. Bravissimo, MCI! I have just been thinking back over our tour to Germany and Austria this past summer and wanted to take a minute to thank you for the terrific job you and your staff at Music Celebrations did for us, again. They were simply first rate in every regard. I’ve been traveling with ensembles to Europe since 1961 and have considerable experience with travel organizations but I can truthfully say Music Celebrations International is the most professional organization I have worked with. The experiences of the chorus members were treasurable. As I have told you personally, the Karlskirche in Vienna had scores of persons in standing-room only for the entire concert, which concluded with standing ovations, all of our encores, and a protracted applause as I led the chorus to the rear of the enormous Baroque church….I think you have a thorough picture of my pleasure with MCI.